Well known companies that use our workflow software & proofing tools everyday. Designer: Upload your new design directly to WebProof with the free WebProof InDesign Plugin, without the need to produce a PDF. Project Manager: Create a project/user then simply upload PDF files into a specific project. Colleague: Collaborators and proofreaders receive a link to view the project online. They view the document or artwork and provide feedback directly on the project. Client: Client receives a link to view the project online. In an instant they can approve or give direct on-page feedback. Proofing tools are intuitive and easy to use. Text Specialist: Client's or internal proofreaders receive a link to view the project online. Text edits are suggested directly on the artwork or document. Instantly see which projects/pages need your attention. Colour coding allows you to determine entire campaign progress at a glance. Easily check correction, proofing and approval statuses. Super-fast overview, even if you work with many projects at once. With one glance you can see which jobs need action and which have been approved - without opening a single document! Companies use this view on a large central monitor with live updates, enabling everyone to follow the progress of the work. With WebProof you can add comments and corrections to a document in no time. With a single click you can place a sticky note to point out exactly where you want your changes made. With the Box Markup function, you can easily mark up a particular area in a document - where you want to make corrections. A note box automatically pops up for you to add your comments. Highlight text that needs to be replaced without using Acrobat. Sounds too good to be true? WebProof is the only product on the market that includes a function to highlight text. And even better - the text is automatically copied to a sticky note for editing. No more retyping! Text is supported in many languages - including Greek, Russian, Arabic and Chinese - and can automatically be translated into over 60 languages. If you need to show more accurately and in more detail what your comment is about, just use this handy tool to create your own figures. Attach files to sticky notes - precisely where they are relevant. An attachment could be, for example, a new image or a text file but all kinds of files can be attached. Want to check a document's history? Easy! Scroll back and forth in the correction history for each page, to see who changed what, and when. Every action is fully audited to avoid mistakes. Share any projects with temporary external users. You only need their email address. The external users will receive an email notification containing a "link" to one or more pages in WebProof. The external users can then simply and easily add comments. These comments are automatically applied directly in WebProof. This way you don’t have to spend time going back and forth with emails even with non-WebProof users. You don't need to get hold of a graphic designer, every time you need to make a correction in InDesign. When using WebProof online you can correct the document yourself. The user-friendliness is top notch, helping you make corrections with no professional training needed. It's all super-easy. Save more time with WebProof’s InDesign plug-in, because you can upload your document directly from InDesign and change its status in the same process, without having to create a PDF first. From InDesign, choose the project, select pages, and send them to WebProof. In seconds, the job is ready in WebProof. Furthermore, with this plug-in you can automate your file flow in combination with our Platinum/WebFlow Server solution with InDesign Server. Save more time with WebProof’s Illustrator plug-in, because you can upload your artwork directly from Illustrator and change its status in the same process, without having to create a PDF first. From Illustrator, choose the project, select the target page, and send it to WebProof. In seconds, the job is ready in WebProof. When using WebProof you get a free 3D PDF flip function. 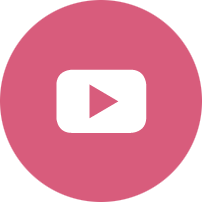 This flip function enables you to link videos and much more to a digital magazine - a very popular feature. WebProof can automatically send E-mail & SMS notifications, for assignment updates, which helps you to be always on top of any changes. Need to produce 150 different advertisements in 15 minutes? With WebProof's automatic Catalogue Builder, an InDesign server and an XML file it's no problem. We have customers who have produced 32-page catalogues in no time, reducing their overall production time by 14 days. Translate into 60 languages. For example, a Chinese user can communicate with someone in Sweden, without either being able to speak any language other than their own. Even Arabic is supported, i.e. right to left text. You just mark the text in the document and it is translated on the fly - a great help for this part of the production process. You can easily see all the added corrections. Take a copy with you to orientation-meetings or use it as a checklist, when you work to maintain a valuable overview - especially when there are many corrections. The page can also be a useful supplement for invoicing. This is especially important if the client makes a lot of corrections. A message is sent automatically to all your app's subscribers, every time a new magazine is available. 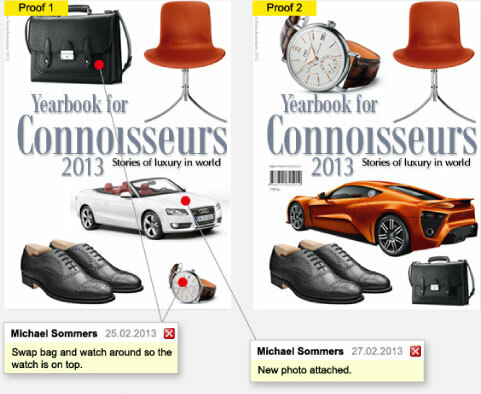 WebProof's app ensures that, only subscribers can read the magazine. Everyone else has to buy the magazine through the App Store. The magazine can be read on all Apple iOS devices. So easy, a child can do it! One project can generate countless ideas, products and solutions, and all the associated emails, phone calls and corrections. What if all communication could be gathered in one place? Well, it can be - in WebProof! WebProof's Newspaper Solution is a full-scale ad-handling system. The solution quickly progresses each ad registered in your booking system through your entire design, approval and production process. 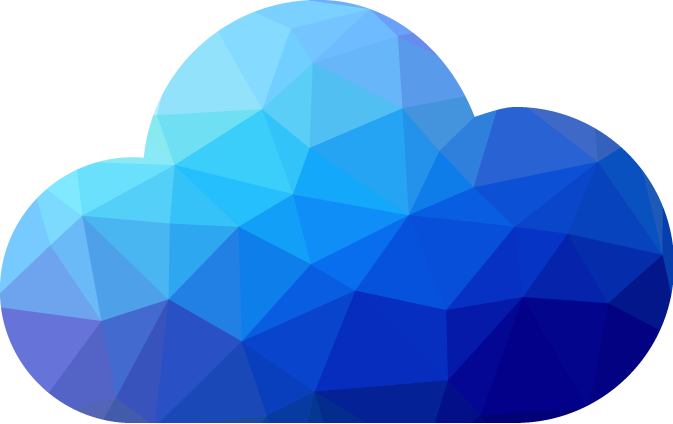 The automated process is easy and takes place in the cloud. Before your magazine hits the newsstand and gets downloaded to mobile devices, it has been through a vast number of people and procedures from briefing to final proof. All of this can be handled in WebProof. Webproof automates and optimises the workflow surrounding the massive graphic production process that many retail chains face every week when producing brochures for shopping centres and supermarkets. Whether you have an in-house graphic department or use an external agency, many different stakeholders collaborate in each graphic-production process. By managing the production process through WebProof, you gain complete ownership of it. By using WebProof, you create an online workflow for both you and your client, both in offset and digital printing. The WebProof solution can be integrated with your existing workflow, and will create a valuable overview of all on-going project. Many former prepress companies today work as full-service suppliers and have experienced how much time they spend on administration of all their projects. When an ad, article or the like is to be produced and translated into many different languages, a large number of people are involved in the production process; all of them can access WebProof with your permission. WebProof has, based on our certified proofing platform, been a trusted partner to the pharmaceutical industry in both Europe and the United States for many years. With this simple default routing workflow you can get rid of the need for complicated, time-wasting email processing and give you and your clients a sharp overview of all projects, including current status and history. Changing the statuscodes triggers a notification, and you can control multiple client permissions. It's quick, effective and easy to use, and you can publish to PDF or Page-flip. With Enterprise you get a customisable workflow process that fits your exact requirements. Design workflows, previews and notifications match your proofing process, controlling users' access to different functions and tools depending on their role and process stage. Do you have a complex, time-wasting production process with many divided systems, groups of users and manually repeating routines? With Platinum you can streamline everything and automate standardised tasks into a straight, secure workflow. Integrate it with your ERP system and applications like InDesign Server and PitStop Server. With status triggers and functions like Direct InDesign Corrections you can edit original documents and control important tasks through the WebFlow File Server - in the WebProof Cloud. It’s simple, smart and effective.